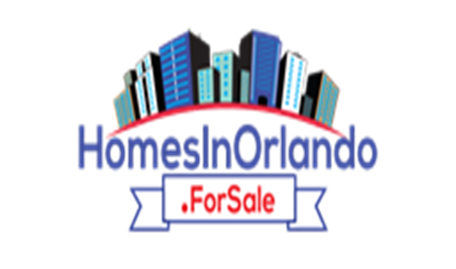 The overall median price of Orlando homes (all types combined) sold June is $239,180, which is 6.8 percent above the June 2017 median price of $223,950 and 2.7 percent above the May 2018 median price of $233,000. Year-over-year increases in median price have been recorded for the past 84 consecutive months; as of June 2018, the overall median price is 107.8 percent higher than it was back in July 2011.The median price for single-family homes that changed hands in June increased 6.8 percent over June 2017 and is now $260,000. The median price for condos increased 13.6 percent to $125,000. The first-time homebuyers affordability index decreased to 88.37 percent, from 90.31 percent last month. Members of ORRA participated in 3,451 sales of all home types combined in June, which is 11.1 percent less than the 3,882 sales in June 2017 but 0.7 percent more than the 3,426 sales in May 2018. Sales of single-family homes (2,672) in June 2018 decreased by 11.8 percent compared to June 2017, while condo sales (408) decreased 11.1 percent year over year. Sales of distressed homes (foreclosures and short sales) reached 132 in June and are 50.2 percent less than the 266 distressed sales in June 2017. Distressed sales made up just 3.8 percent of all Orlando-area transactions last month. The overall inventory of homes that were available for purchase in June (7,558) represents a decrease of 17.3 percent when compared to June 2017, and a 1.0 percent increase compared to last month. There were 16.1 percent fewer single-family homes and 22.6 percent fewer condos. Current inventory combined with the current pace of sales created a 2.2-month supply of homes in Orlando for June. There was a 2.35-month supply in June 2017 and a 2.2-month supply last month. The average interest rate paid by Orlando homebuyers in June was 4.61, down from 4.64 percent the month prior. Pending sales in June are down 11.6 percent compared to June of last year and are down 9.9 percent compared to last month. Sales of existing homes within the entire Orlando MSA (Lake, Orange, Osceola, and Seminole counties) in June were down by 11.4 percent when compared to June of 2017. Year to date, MSA sales are down by 1.8 percent. *Seminole: 9.6 percent below June 2017.